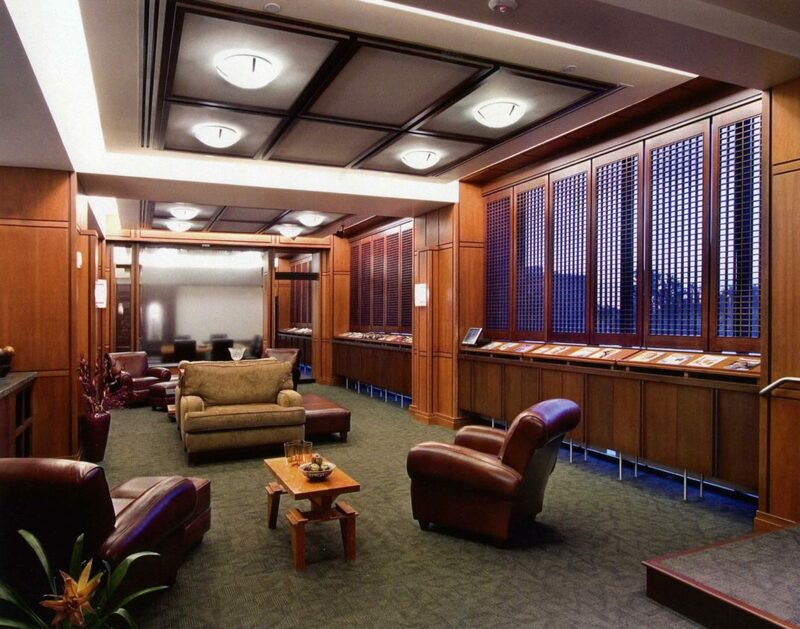 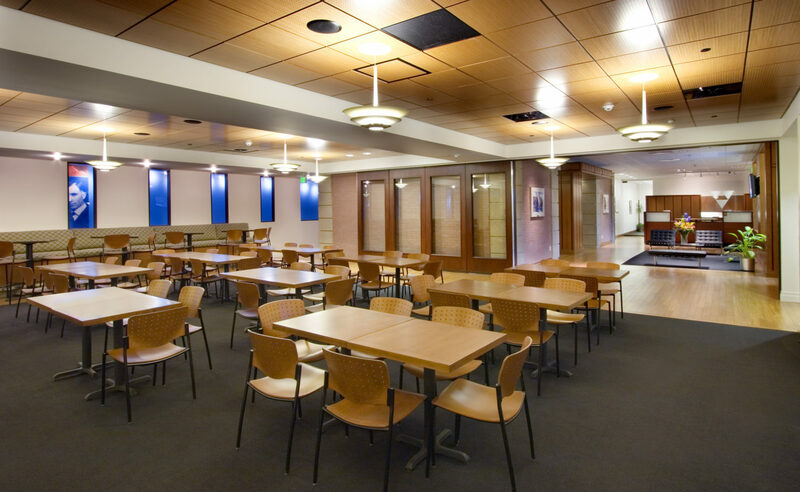 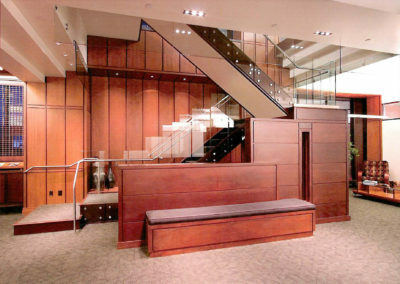 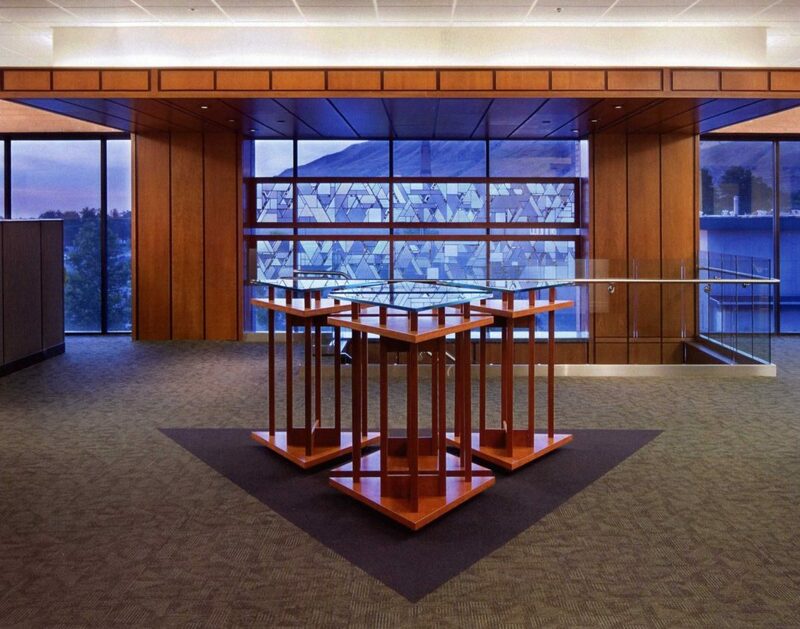 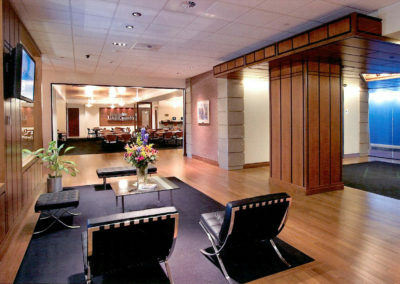 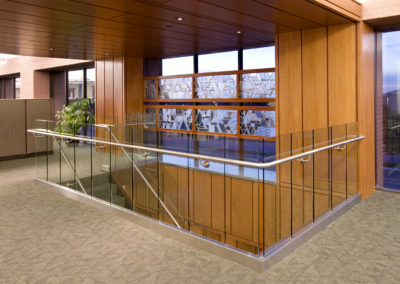 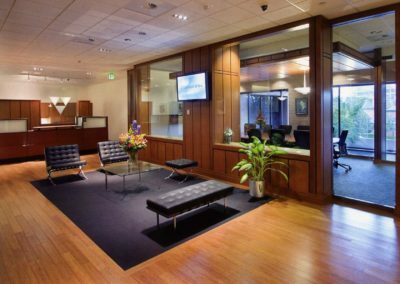 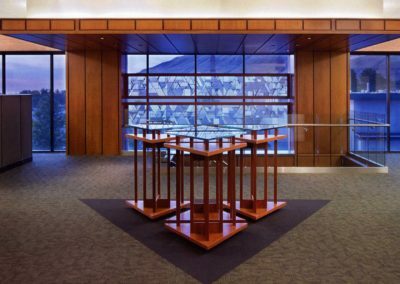 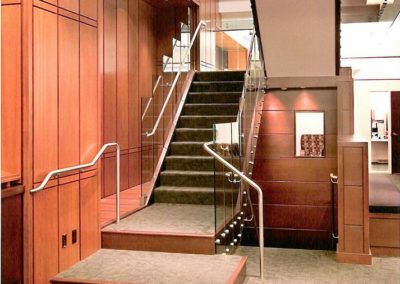 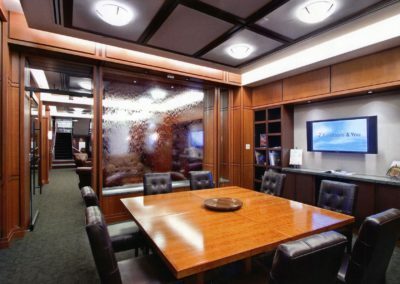 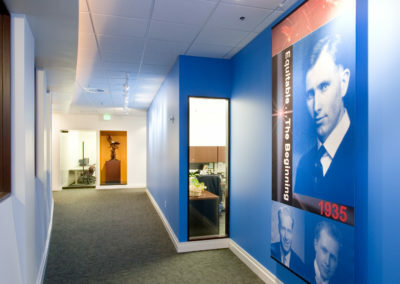 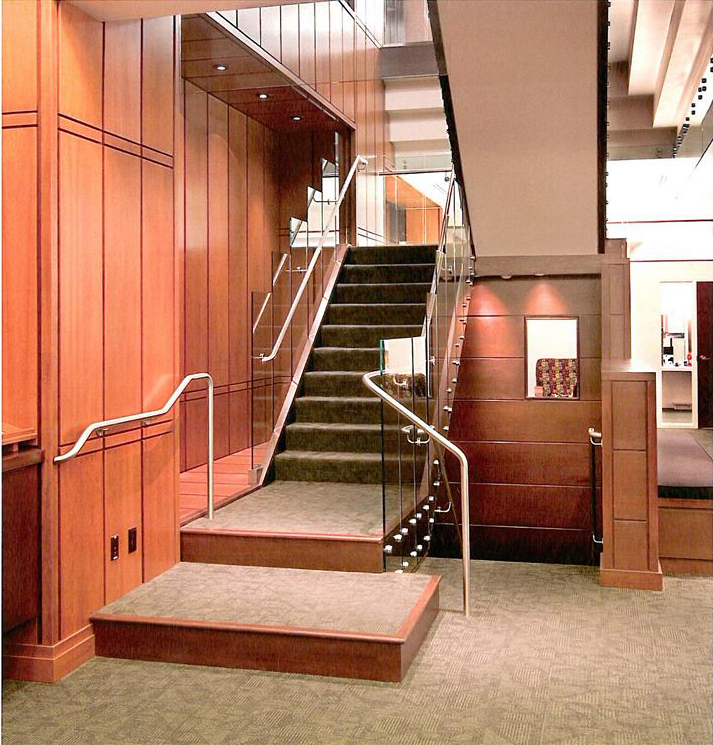 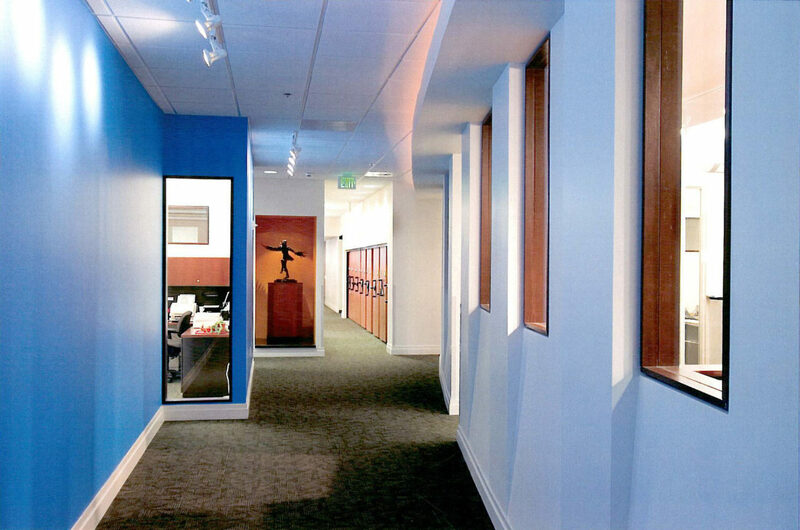 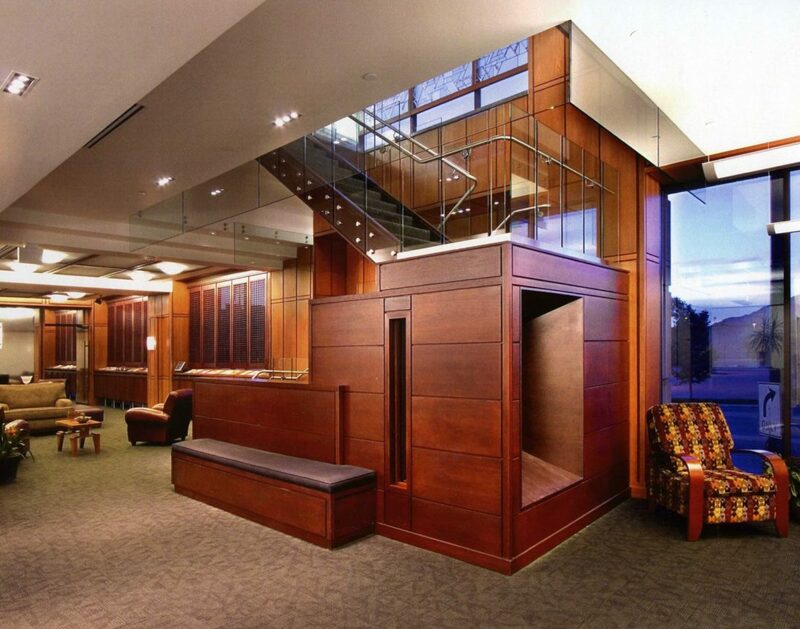 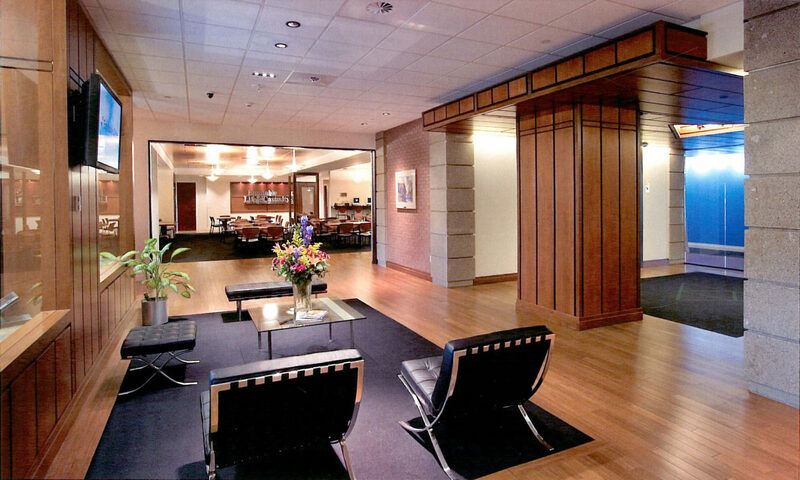 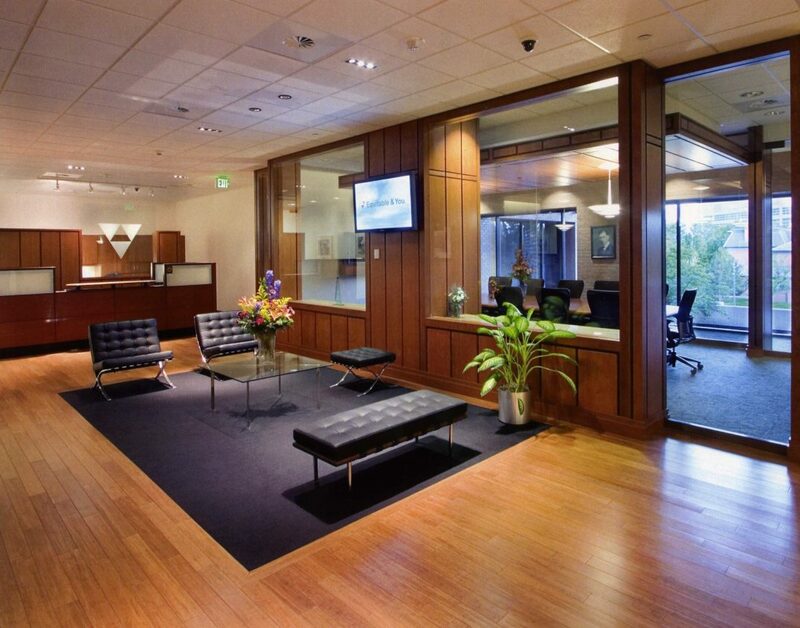 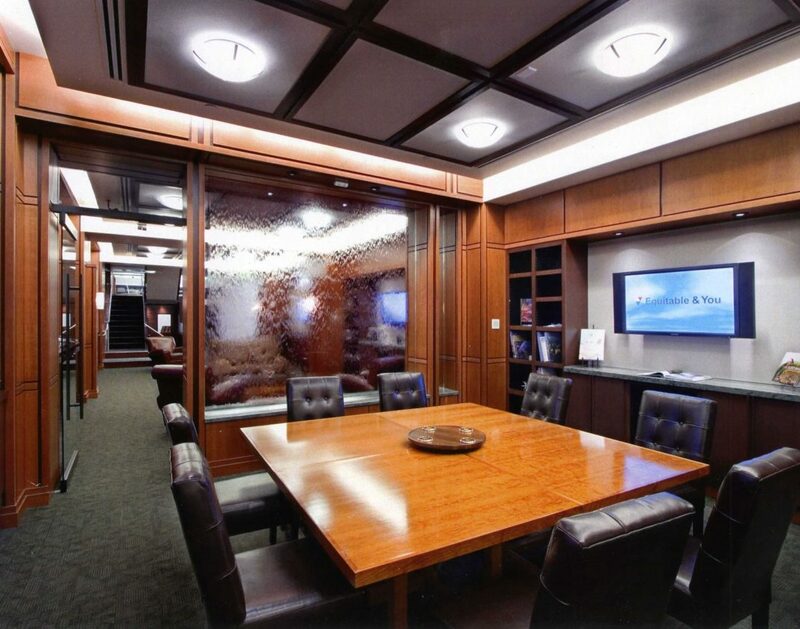 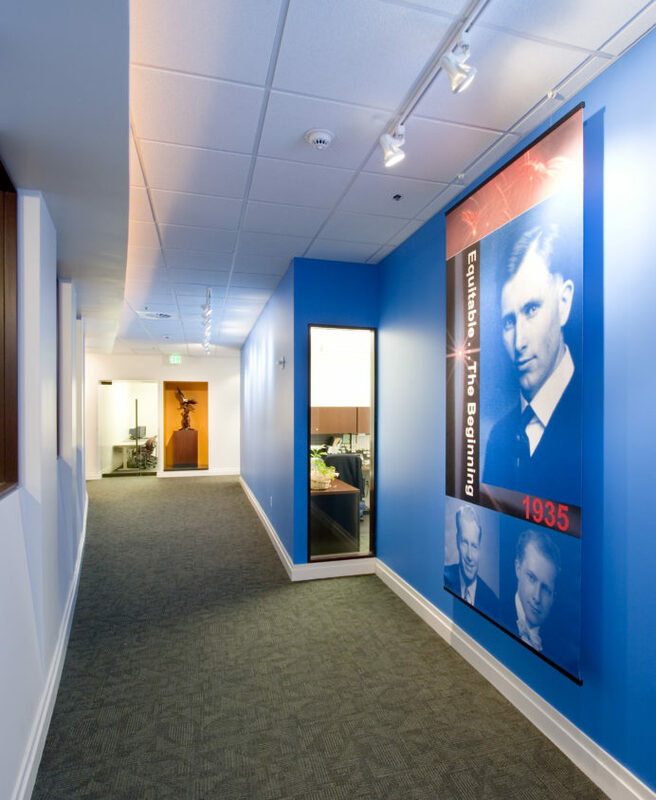 A Corporate Headquarters custom interior for an insurance company located in Salt Lake City. 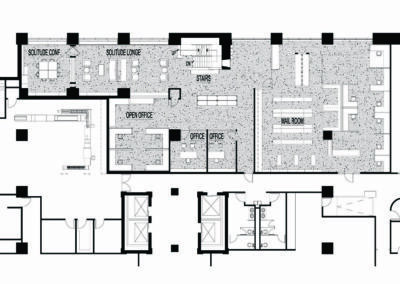 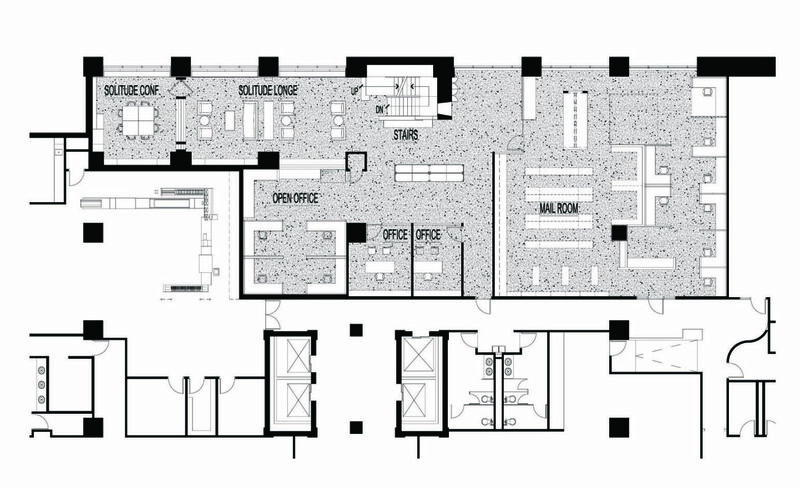 The project encompassed two levels of various departments. 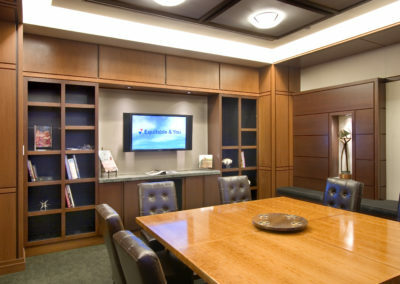 Our solution was to make sure all spaces had views and natural light. 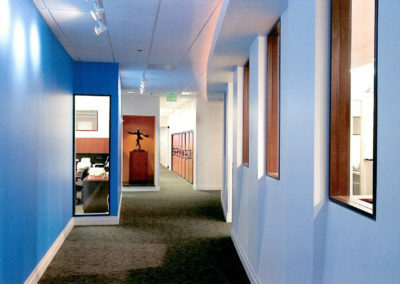 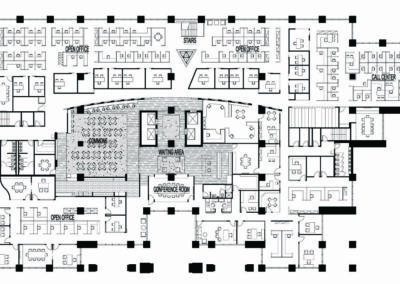 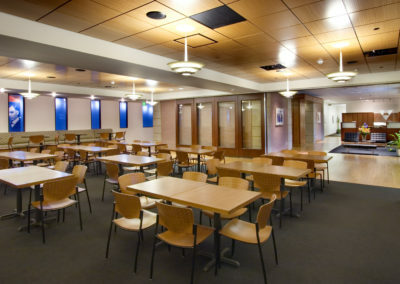 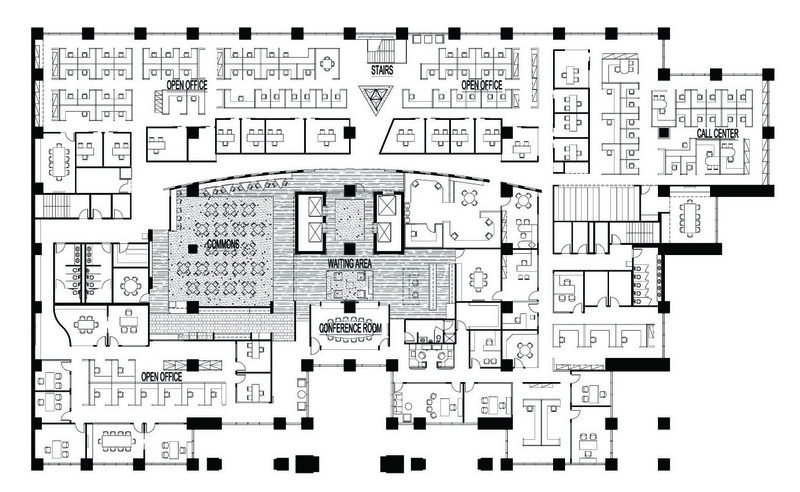 The center feature within the office is the “commons space”, which reinforced the common aim and purpose of Equitable’s workforce. 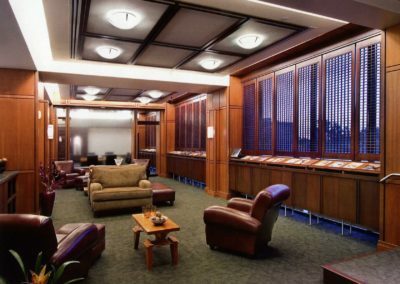 We also designed a retreat area “Solitude Room” for conferences and relaxation away from the day to day activities of the office. 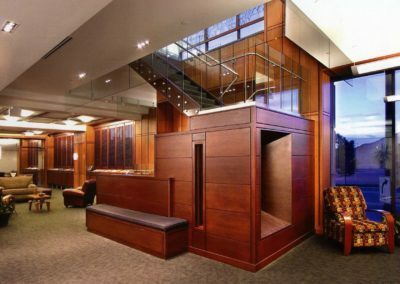 A water wall feature is a focal point in this space.